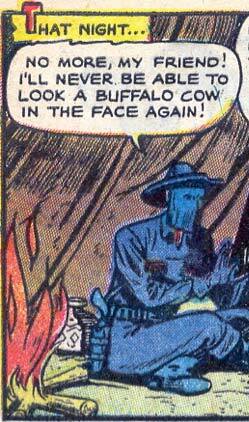 Cobra Commander was a cowboy? Who apparantly did something with a bison? Wow, who knew? I think his costume is color coded, and his current upset state is very severe depression. How do you keep that much denim clean in the old west anyhow? I’m glad I’m not the only one who saw this and thought of Cobra Commander.